Our latest edition of SFB News is out now. 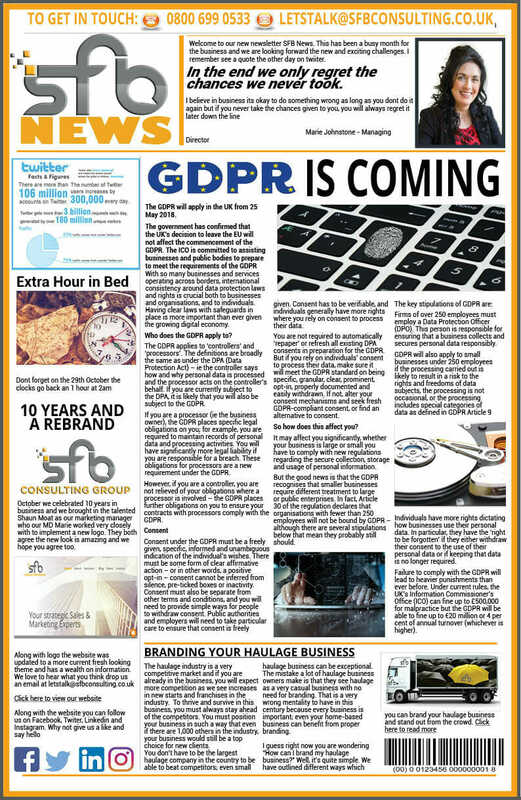 A must read to understand how GDPR will affect you. To download just hit the image.